How to add guest GST number in eZee Absolute? To add any Customer GST number in Folio, Please refer below steps. Open Edit Transaction >> Folio Details >> Folio Operations >> Click onTo add any Customer GST number in Folio, Please refer below steps. Open Edit Transaction >> Folio Details >> Folio Operations >> Click on + Icon in Operations and GST number. How to configure absolute POS2ABS integration in eZee Burrp 7.0? How to update Rates, Inventory and Stop sell from eZee Absolute App? Is it possible to change Rooms color in eZee Absolute? How can we change a reservation’s room type in Ezee Absolute? To Change reservation's room type, you can go to Front Office >> Reservation list >> Click on Booking and Assign Room, from there you can changeTo Change reservation’s room type, you can go to Front Office >> Reservation list >> Click on Booking and Assign Room, from there you can change RoomType for that booking. Note: If a room is already assigned then you can first Unassign Room and then click on assign room to change room type. How to Assign Bookings/Rooms in eZee Absolute? Yes, We can add more Salutations in a system, you can just drop an email to cm@ezeetechnosys.com with new Salutations and our technical team will add itYes, We can add more Salutations in a system, you can just drop an email to cm@ezeetechnosys.com with new Salutations and our technical team will add it for you. What is Var% in Night Audit Report? Is it possible to download Guest Image and Identity from eZee Absolute? How to generate invoice number for No show and cancel bookings? How to Amend stay for Group Booking? / How to change dates for all Group booking at the time in Ezee Absolute? How to Void booking from eZee Absolute? How to print group invoice or receipt from Ezee Absolute? How to change Bill to option in Invoice? / How to bill invoice on company name in Ezee Absolute? 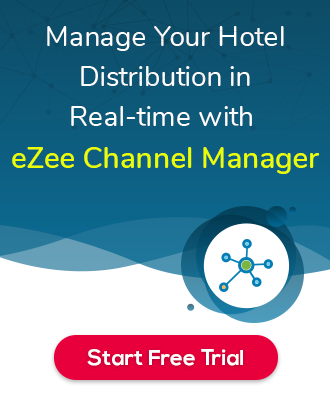 How to define Travel Agent Commission at the time of booking or after booking in Ezee Absolute? How to create travel agent in eZee Absolute?